Snowtires ready! 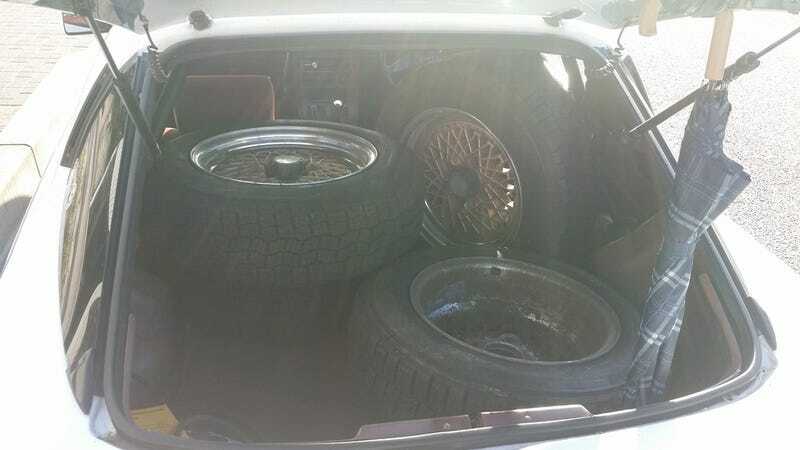 With the full size spare wheel under the carpet, a total of 5 full size wheels fit in the trunk, with no problem whatsoever. I didn’t even put anything on the passenger seat nor did I move the seats forward.